Shaped like a syringe, the Injector’s clear design lets you see the inside components to enhance visual impact. It features an excellent print area, perfect for your logo to expand your business. 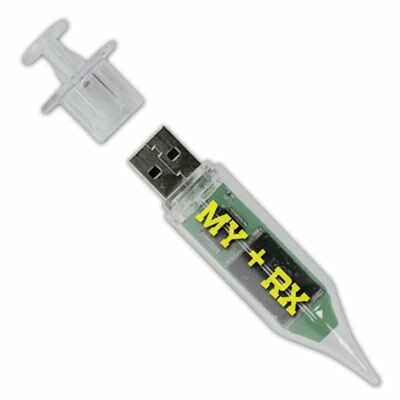 You can safely say that no one else has this flash drive, which makes its impact unique and forceful. Customers will love this unique data storage. 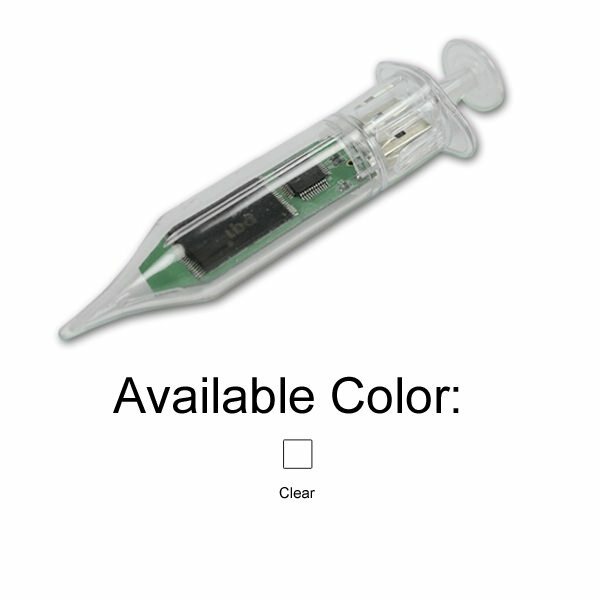 It makes an excellent promotional USB drive for your medical or pharmaceutical customers. When you need a marketing boost stat, the Injector will be there for you. It goes the distance for you as a fun method for digital storage as well as advertising your brand. It offers a good size print space for a silkscreen printed logo. Its clear casing lets you see its internal components, giving the feeling of transparency. The cap protects the protector port and is compatible with most operating systems.